According to the most recent World Transport Report published by Prognos AG, goods transport will increase from almost 2 billion ton kilometers today to 2.7 billion ton kilometers by 2040 in the twelve largest EU member states. In the USA, an increase from eight to ten billion is projected; an increase from 15 to 27 billion ton kilometers is projected for China. Road goods transport vehicles remain the most significant mode of transport. This presents numerous challenges for commercial vehicle manufacturers, the supply industry, the entire transport and logistics sector as well as politics and science, not just in terms of efficiency and environmental compatibility but, above all, in terms of road safety. No pasta in the supermarkets, no beer available in the beverage stores, no clothing available in boutiques or department stores, no material transport for the economy and industrial sectors, no parcels for end consumers, no refuse collection, no fire-fighting operations, no moving house and lots more: The disruption that would occur if there were no commercial vehicles on our roads is almost unimaginable. 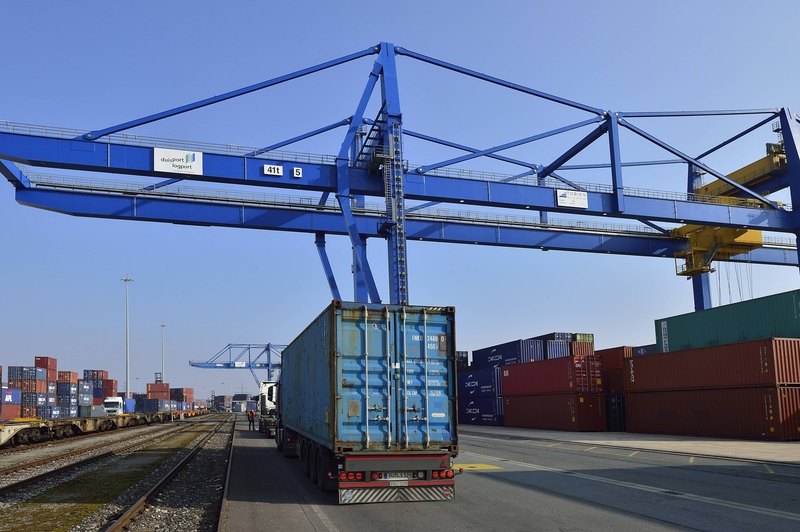 On certain routes, railroads and ships are good alternatives, but the current infrastructure in many countries is far from sufficient, even in the medium term, for shifting all goods transport operations from the road to these modes of transport. In most parts of the world, railroads and ships are not a viable alternative for short-haul routes, delivery vehicles, urban distribution transport and critical transport services. Without commercial vehicles, it would be next to impossible to transport any goods. The strength of commercial vehicles still lies in the high level of flexibility they offer. 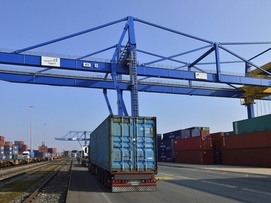 Compared with trains or ships that rely on rails and waterways, trucks and vans can travel from the sender right up to the loading ramp of the retail outlet or to the front door of the recipient of a delivery. This also makes commercial vehicles indispensable especially for regional transportation. Only on long-haul routes can trains leverage their economic and ecological strengths. In large countries such as China, Russia, Canada and the USA, trains are a much more viable proposition than in, say, the confines of a comparatively small Europe with its borders, national train companies, different train systems and lack of rail networks designed specially for transporting goods. For shorter distances, railroads are simply not viable – goods are transported exclusively by road. This is particularly important with regard to the “last mile” – i.e. the route taken by most goods ordered online, from a distribution center via a courier, express and parcel service provider to the end customer’s front door. Given the extent of urban traffic problems caused by congestion and exhaust emissions, there are now a variety of issues to consider as well as some concrete approaches that have already been established with regard to covering the “last mile” in as environmentally and traffic-friendly a manner as possible – for example, with alternative drives such as electrically powered distribution trucks and vans or with the help of electric cargo bikes, drones or delivery robots. Nevertheless, even on the “last mile” road goods transport will maintain its dominant role for a while to come. The challenges associated with the “last mile” are illustrated by the figures of the 2017 Courier, Express and Package Service Provider Study conducted by the “Bundesverband Paket und Expresslogistik (BIEK)” (Federal Association for Parcel and Express Logistics): In 2016, courier, express and package service providers for the first time transported more than three billion parcels in Germany compared with “just” 1.7 billion in 2000. The continuous growth seen in recent years is also set to continue, with BIEK already forecasting more than four billion parcels for 2021. 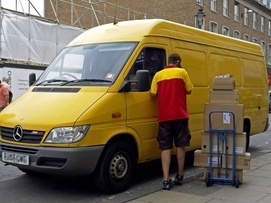 This increasing number – particularly for parcels – is primarily the result of the significantly stronger growth of online trade in the business-to-consumer segment and the increase in business-to-business shipments. In addition to ever-increasing online trade – be it involving furniture or hobby and leisure items, for example – same-day or even faster delivery (“one-hour delivery”), as is the case with groceries, is becoming increasingly important for the industry globally. Given the fact that an ever-increasing number of people are living in urban areas and the number of “megacities” with more than ten million inhabitants is increasing, mobility concepts for the “last mile” in particular are unavoidable. According to UN projections, two-thirds of the world’s population will live in cities in 2050 – in 1950, this was just one third. To put this in concrete figures, the planet’s population is expected to number 9.6 billion by 2050, with 6.4 billion people likely to be living in cities. 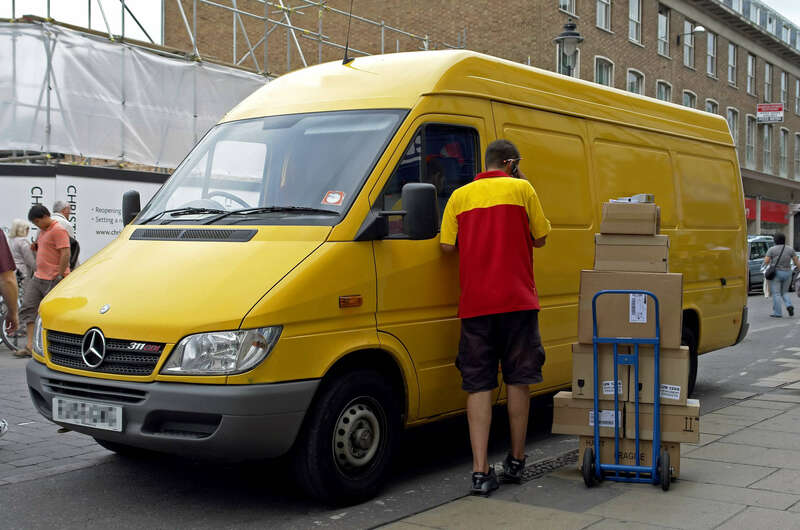 This will inevitably lead to an extremely high volume of traffic – not least due to distribution trucks and vans making “just-in-time” goods deliveries. This, in turn, could have a negative impact on road safety. 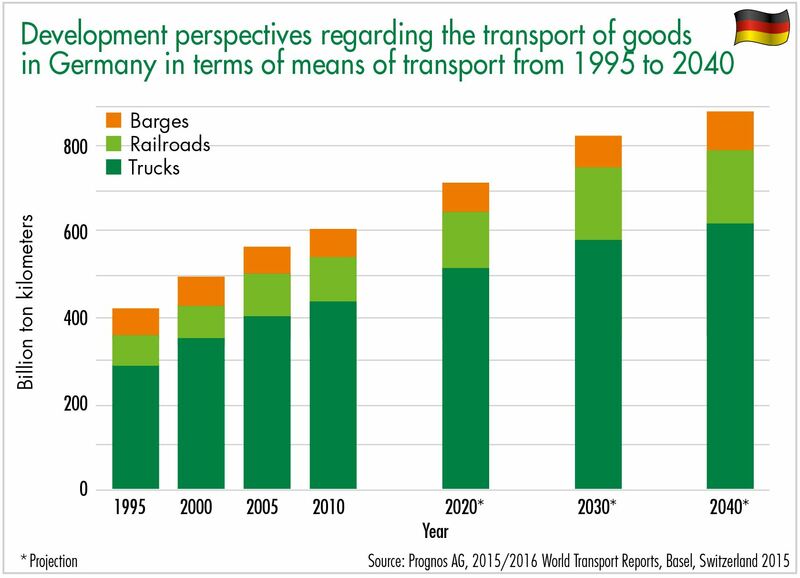 The significance of road goods transport today quickly becomes very clear in a modal split comparison with other modes of transport. Take Germany as an example: According to the German Federal Statistical Office, almost 4.6 billion metric tons of goods were transported in Germany in 2016, with 3.6 billion metric tons transported by truck. Transportation services totaled almost 660 billion ton kilometers in 2016; the average transportation distance in Germany was 143.5 kilometers. Covering 472 billion ton kilometers, road goods transport accounted for 71.5 percent of transport operations. Railroads take second place with significantly lower figures: 116 billion ton kilometers – i.e. 17.9 percent – were attributed to trains. The 2015/2016 World Transport Report conducted by Prognos AG projects that road goods transport vehicles will cover 584 billion ton kilometers by 2040 – compared with around 280 billion ton kilometers for trains and barges. In addition, road goods transportation is becoming increasingly international. 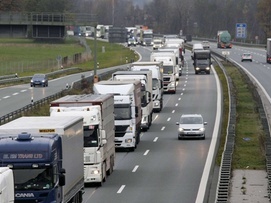 In 2015, for example, almost 40 percent of transportation services on German roads were provided by foreign companies. 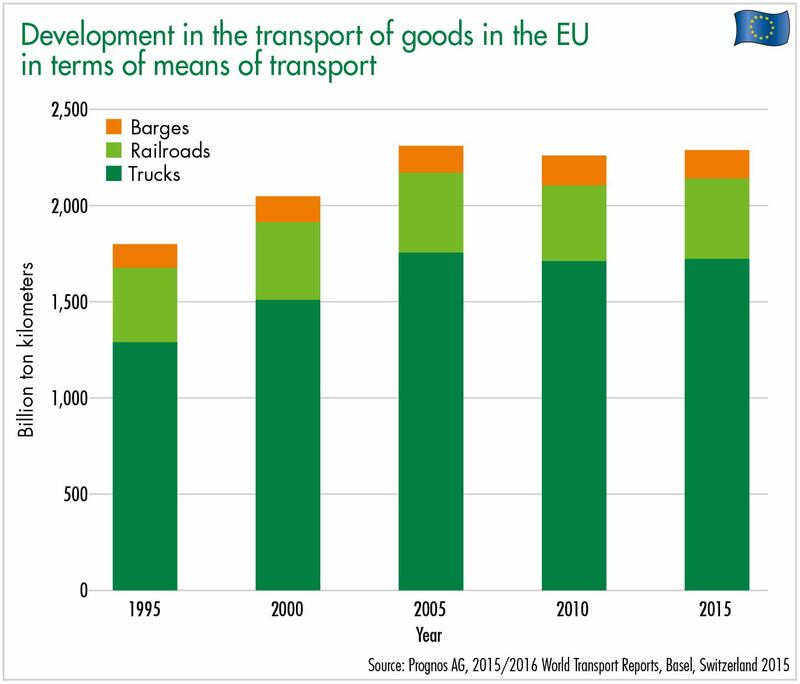 Looking at the expansion of goods transportation in the EU, the dominance of road transport is clear here, too. 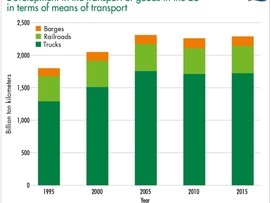 According to data provided by the European Commission, road goods transportation increased from almost 1.3 to over 1.7 billion ton kilometers from 1995 to 2015 – a rise of more than 33 percent. Over this period, the railways saw growth of just 7.6 percent from 388 to 418 billion ton kilometers. With regard to the modal split of modes of transport within EU domestic traffic in 2015, road transportation represented 75.3 percent, railways 18.3 percent and waterways 6.4 percent. This distribution has remained more or less the same for a number of years now. 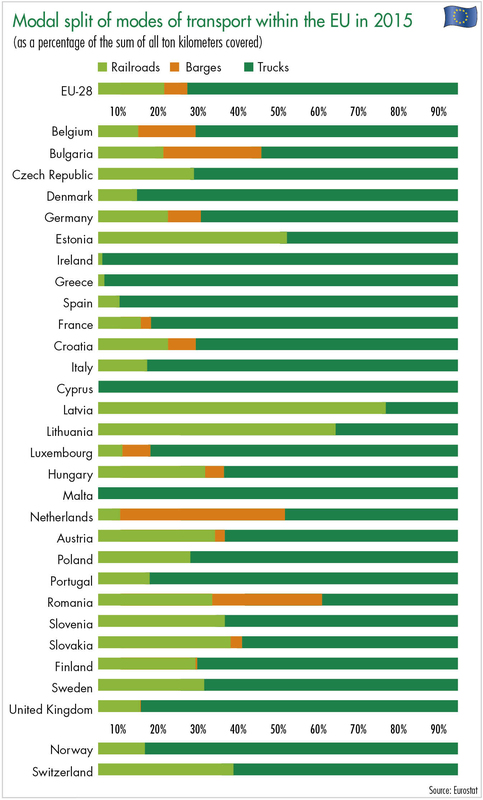 In most EU member states, road transportation is well ahead; front runners in 2015 included Spain with 94.1 percent, Italy with 86.5 percent and France with 85.4 percent. In the Baltic states of Estonia, Latvia and Lithuania, however, rail transportation dominated with figures between 52.4 and 79.8 percent. In the Netherlands, goods transportation by ship has accounted for a large share of goods transport for a number of years now. 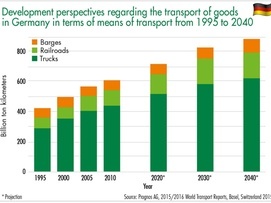 In 2015, this share was 45.5 percent – just slightly below goods transportation by road (48.3 percent). The dominant role of commercial vehicles in the transport of goods also becomes very apparent when one takes a closer look at the development of registration/ownership figures in recent years. 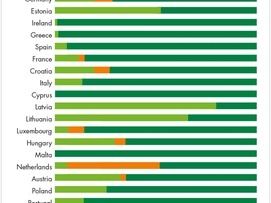 Published by the European Commission in 2017, the “Statistical Pocketbook” on transport reports that around 27.5 million vehicles were registered for road goods transportation in the EU in 2000. By 2015, this figure had increased to over 36.5 million – an increase of around 33 percent. States with the highest numbers of commercial vehicles at this time included France (6.56 million), Spain (5.05 million), the United Kingdom (4.24 million), Italy (4.1 million), Poland (3.43 million) and Germany (almost three million). Given the considerable growth in the aforementioned courier, express and package service provider sector, it is also interesting that the number of goods transport vehicles weighing between 2.8 and 3.5 metric tons in particular has risen significantly across Europe in recent years. 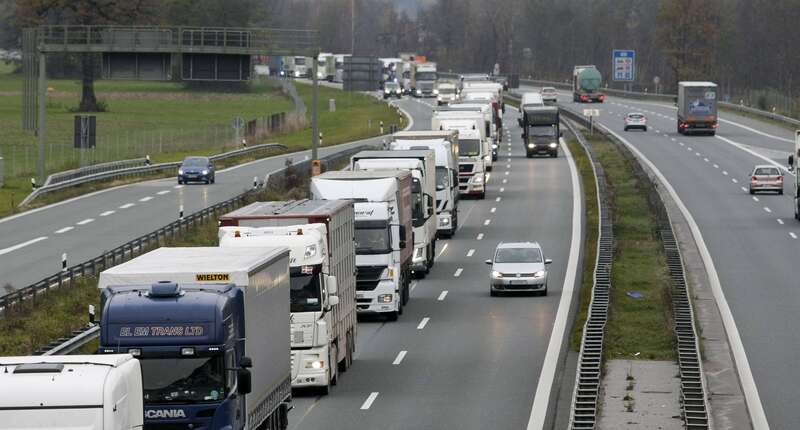 According to information provided by the Federal Motor Transport Authority, the number of these vehicles on Germany’s roads increased between 2000 and 2015 from under 302,000 to almost 1.2 million. The number of vehicles in this segment has thus almost quadrupled. According to the 2016 Shell Commercial Vehicle Study, the total number of commercial vehicles in Germany is projected to increase to 3.5 million by 2040. Compared with today’s figures, this represents further growth of 17 percent.